OTTO BOCK Wheelchair Cushions are known worldwide for their unsurpassed workmanship and theie detail oriented workmanship. Manufactured in Germany, The CLOUD Wheelchair Cushions and ADVANTAGE Wheelchair Cushions are their heavier series for a lot of support and pressure relieve. Some OTTO BOCK Wheehchair Cushions have floam inserts which offer three different density/ firmness levels and they are interchangeable; So you get the right support where you need it. 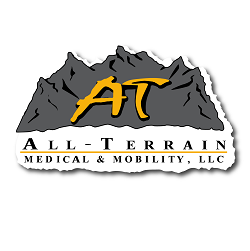 For a more lightweight version, you can choose from their lightweight series, the AERIAL Wheelchair Cushions , AQUOS Wheelchair Cushions or the TERRA Wheelchair Cushions; These lighter weight wheelchair cushions are manufactured in the same facility as the CLOUD Cushions and the ADVANTAGE cushions and also offer a great price-to-value product. Enjoy FREE Shipping today!